"This book will make you seem a genius." Consider the humble lobster: an unsightly creature from the sea that tastes awfully good with melted butter. But it turns out that this aesthetically-challenged crustacean is so much more—a charming lover, a belligerent fighter, and a snoopy socializer with a nose that lets it track prey and paramour alike with the skill of a bloodhound. And, perhaps most important, these astonishing animals are a sustainable resource that has provided a livelihood for generations of Maine fisherman. In his entertaining and edifying book, Corson takes us on a lively sea-sprayed voyage inside a world where fishermen and scientists have joined forces to uncover the mysteries—and preserve the future—of these clawed predators. 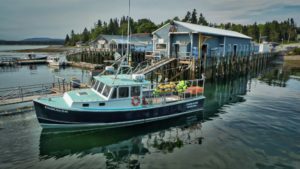 Corson worked for two years as a sternman aboard a lobster boat out of Little Cranberry Island, Maine. From the slippery deck of the F/V Double Trouble, he witnessed firsthand the lives and work of a crusty band of lifelong lobstermen and a new breed of ecologists whose unconventional methods include underwater vacuum cleaners, robots, lasers, scent electrodes—and superglue. 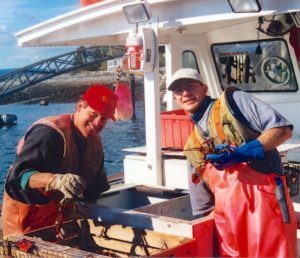 Combing science, history, and folk wisdom, he explores the confounding reasons behind the fact that Maine's lobster catch has tripled over the past fifteen years despite the general decimation of New England waters by overfishing. Part popular science, part social history, The Secret Life of Lobsters provides a glimpse into the quirkiness of scientific endeavors and fosters an awareness of how our oceans can be harvested sustainably despite questionable big-government solutions to environmental problems. It also offers an intimate portrait of an island lobstering community bound by tradition but confronting change. The Secret Life of Lobsters is published by HarperCollins. "For hot stuff, you can pick up the latest Harlequin Romance, all fiction. Or you can read The Secret Life of Lobsters—all fact!" 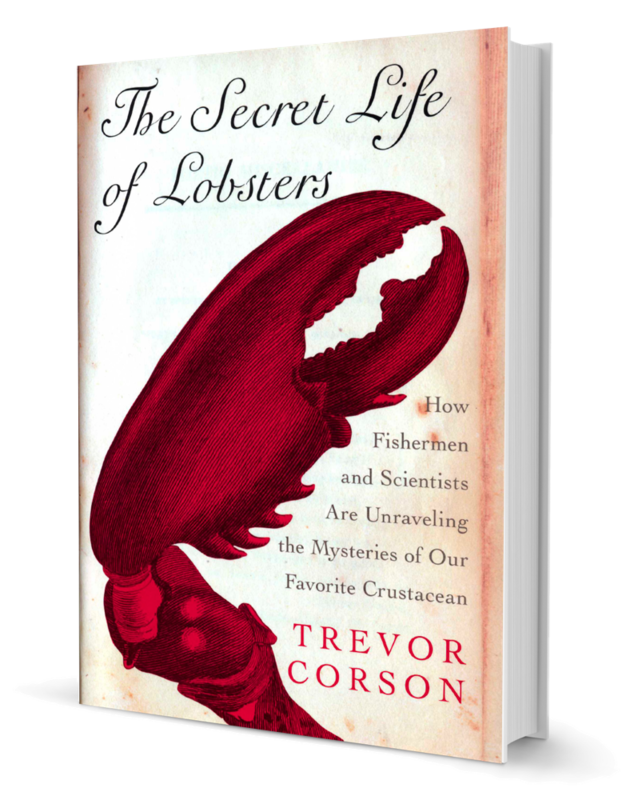 "Corson knows the lobster's secrets, and he'll tell. ... The chapters are knitted together with rich stories about the people who catch lobsters, their families, the dangers they face." "Lobster is served three ways in this fascinating book: by fisherman, scientist and the crustaceans themselves. ... Corson, who worked aboard commercial lobster boats for two years, weaves together these three worlds. The human worlds are surely interesting; but they can't top the lobster life on the ocean floor." "Corson's sense of humor and ability to breathe a human sensibility into his crustacean characters enliven even the most esoteric details of how lobsters hunt, hide, fight, and mate in their natural habitat." "The Secret Life of Lobsters is so full of fun and fascination that you'll be almost embarrassed to think that for all these years all you ever knew about lobsters was how they taste. Lobsters do so many remarkable things that you just might conclude that the differences between people and lobsters are only skin deep. Prepare to awe your friends as you regale them with details from the depths--this book will make you seem a genius at your next summer lawn party." "I believe that cooking is not only a craft but also a sacred art. When we choose to kill and cook a lobster, it can be a way of paying homage to the animal's life. In The Secret Life of Lobsters, Trevor Corson teaches us that the lobster has its own mysterious habits, sensitivity, and sensibilities, and that it deserves our respect when we bring it to our table."